Bloomingdale's Finest in Luxury Transportation! Without any doubt, The Stein & Vine is the top Tampa Party Buses choice for our Bloomingdale area party bus groups. 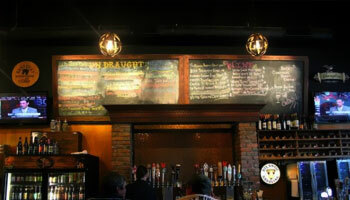 After all, you're looking at an absolutely ideal pub ambiance and wine bar style here. From the outside, you cannot tell what a great experience you're in for. Overlook that strip mall exterior and dive right in! If your favorite kind of food to enjoy when you're out in Bloomingdale with the Tampa Party Buses crew is Asian fusion, then you have got to check out Genghis Grill. Couldn't be more conveniently located and we just love the prices and quality. The edamame is fantastic to enjoy to-go on the bus! 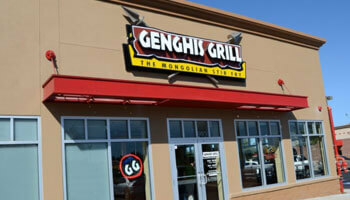 We love the Mongolian barbecue and hibachi style fare! Mmm. 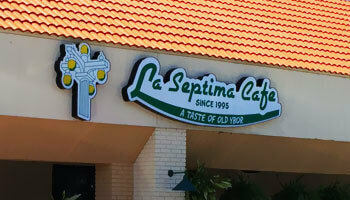 Cuban, Spanish, and Italian fare blends into one menu of perfection right here at La Septima Cafe. This is a really special choice for your Tampa Party Buses travels in the Bloomingdale area. You're looking at a fantastically friendly family restaurant that has nothing but good vibes and great service. There is no item on this menu that we would not recommend to you! 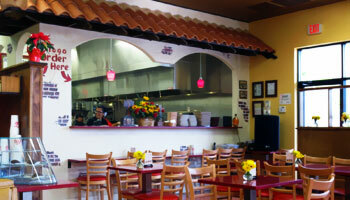 Liborios Latin Cafe is another one of our top picks for our Tampa Party Buses customers in the Bloomingdale area. 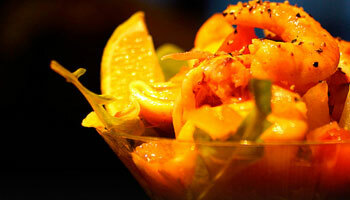 After all, this Cuban and Spanish haven is just jam-packed with incredible dishes for your enjoyment. The rice and beans are a traditional side, but they are a standout item here, really flavorful and delicious! We'd eat them all by themselves! If you love tapas and that's the experience that you're after for your Tampa Party Buses group in Bloomingdale, then the aptly named Tapas is the place for you! 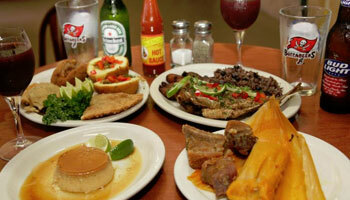 They have a lot of great fare for your enjoyment here, including traditional Spanish favorites and even Cuban fare! The pork asado is amazing and we adore the ropa vieja. The service is top notch! There's one thing that most of us on the Tampa Party Buses crew cannot get enough of, and that is soul food and Southern fare. 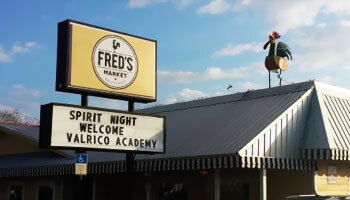 The buffet that's made available to you at Fred's Market is just unbelievable. The fried green tomatoes, the seafood gumbo, the macaroni and cheese, the wings, the fried fish, the chicken pot pie! Oh, we could go on and on and on. Just love it! 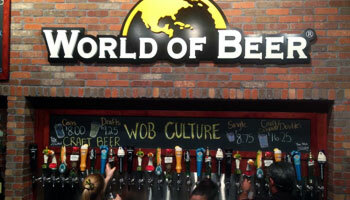 World of Beer is an astonishing place to spend an evening if you are any sort of beer lover. The beers of the world are all opened up to you here, available at reasonable prices for most, and pricier totals for a few rare gems that are really worth it. Trappist ales are always worth more, even just for the story of their origin. The wings are amazing with a vinegar-based hot sauce! Too good! 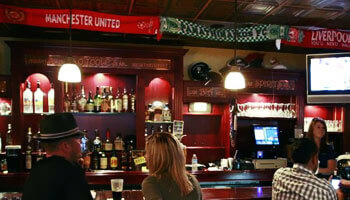 O'Toole's Irish Pub is as cozy as it gets for your evenings with your Tampa Party Buses group in Bloomingdale. This is the kind of pub ambiance that you'd happily travel miles for, but it's located so conveniently right here. The gastropub offerings are just stellar and we cannot say enough about all the Irish food that's available here. Mouth watering and unforgettable! 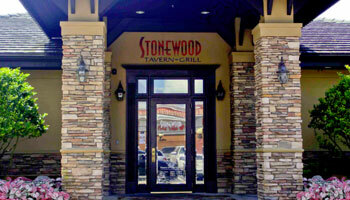 Stonewood Grill & Tavern is just beautiful for your special dinners with party bus groups in Bloomingdale. They have so many traditional American favorites for your enjoyment here, with our favorites all falling in the steak category! So juicy and flavorful, you won't even need any sauce. The bar is fabulous to sit at. Good stiff drinks, never watered down. Taqueria Dona Maria is as perfect as it gets when it comes to delicious Mexican food in the Bloomingdale area. Our Tampa Party Buses customers are endlessly raving about the mouth watering margaritas and the fabulous beans and rice! All of the entrees are delish, but we'd most highly recommend the burritos and enchiladas. Everything's superb!